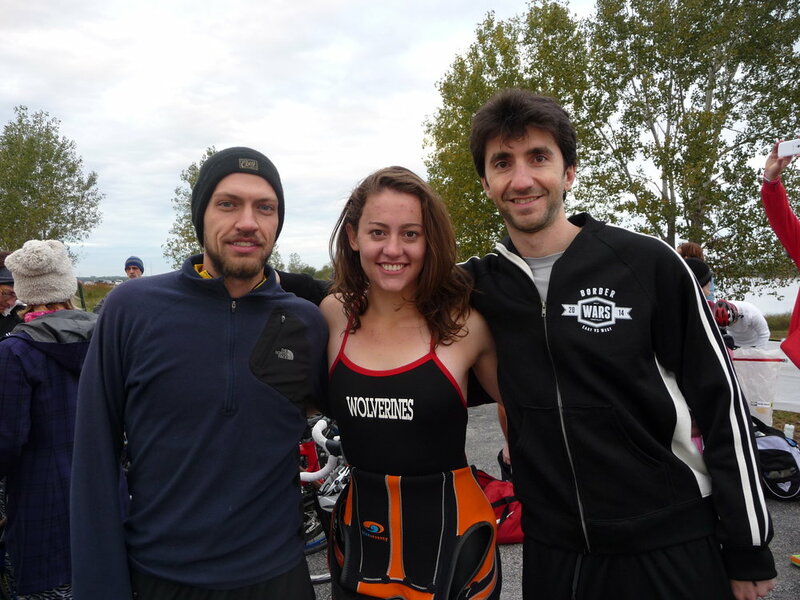 On October 5, 2014, three BALSA members participated in the Border Wars Half Triathlon in Alton, Illinois, a race consisting of a 1.2 mile swim, 56 mile bike, and a 13.1 mile run. Team BALSA Group placed fourth in the co-ed team division with a time of 5:19:11. Kate Keefer, a former nationally ranked collegiate swimmer, Brett Maricque, an accomplished cyclist, and George Schweitzer, a ten-time Ironman triathlon finisher, comprised the swim/bike/run trio with support from the BALSA Membership Fund, a micro-grant offered to active BALSA members for supporting professional development, team-building activities, and other creative ideas that support BALSA’s mission. Team members trained for months leading up to the event, overcame injury, and engaged businesses associated with the event to market The BALSA Group to the community. Border Wars Half Triathlon, owned by Racemaker Productions, was the inaugural event and represents the first half-iron distance triathlon raced in the St. Louis metro area.